We all have our favorite dog breed that we can’t imagine living without. Sadly, however, some dogs that people once called pets are some that are gone from this world forever, never to be pet or loved on again. These incredible extinct dog breeds are so unique and rare, you likely haven’t heard of them! Please SHARE these amazing extinct dog breeds with every dog lover you know so they will live on in our memories! This breed existed in Asia and central Europe throughout ancient times and through the 17th century. These big, short-coated dogs were bred by the nomadic Alani tribes for working and a number of specific duties. Contemporary Alaunt enthusiasts are currently creating new breeds through the ancient Alaunt bloodline. Also known as the Shropshire Spaniel, this elegant breed – described as being a large cocker spaniel – has been extinct since the early 20th century, thought to have been cultivated by an unspecified Duke of Norfolk. Talk about exotic: this extinct breed was definitely a canid, but scientists are still unsure of whether or not it was a domestic dog, coydog, or a domesticated coyote. Bred in northern Canada by the Hare Indians, it went extinct as it was inbred with domestic dogs in the 19th century. Thousands of these little guys inhabited British kitchens, as these dogs were designed to run (hamster-style) in a wheel connected to a chain that roasted meat as it spun around. The Turnspit was even referenced in “The Comedy of Errors” by Shakespeare as “a curtailed dog fit only to run in a wheel.” As technology developed, however, this breed declined. White, long-haired and Spitz-like, the Salish Wool Dog (or Woolly Dog) was bred by the native peoples of Washington State and British Columbia, its fur used to make prized “Salish” blankets. Broad and muscular, this breed was used in England for bull-baiting and dog fighting, which was outlawed in 1835 thanks to the Cruelty to Animals Act, though the practice was continued for many years afterward. This stocky breed was a naturally occurring dog variety from Newfoundland, and is thought to have been a random-bred mix of old English, Irish and Portuguese working dogs. Hailing from southern Europe, the Molossus is known for being instrumental in the development of modern breeds such as the Great Dane, Greater Swiss Mountain Dog, Rottweiler and Newfoundland. Some scholars believe that the ancient Greeks used them for fighting alongside men in battle. An old breed of hunting dog from France, the Braque du Poy was created in the 19th century, though its original form is now extinct. These large, 100-pound dogs were bred by farmers in the Caucasus Mountains and used to guard livestock. Their resemblance to the golden retriever is no coincidence, as a man known as Sir Dudley Marjoribanks used a group of them to develop the popular breed of today in the 1800s. Bred in Argentina for ruthless pit fighting, this breed was so fearsome and powerful that males and females tried to tear each other apart during mating, eventually resulting in their decline. Thought to have been brought to England in 1066 by William the Conquerer, this loyal tracking hound was so popular that it was featured on a number of family crests during the Middle Ages. 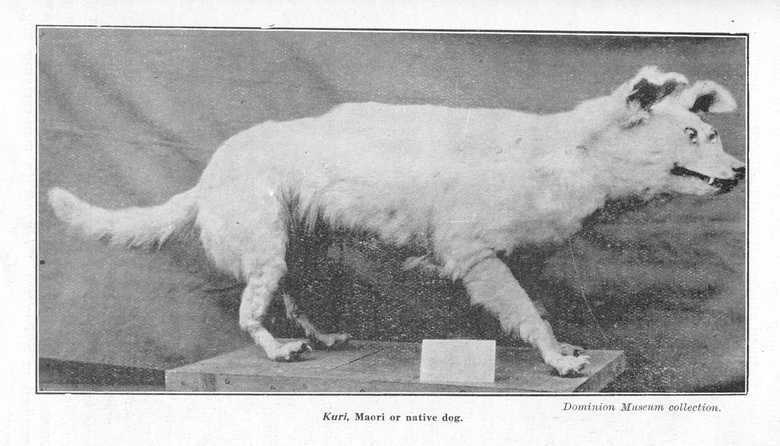 Brought to New Zealand around the 14th century from East Polynesia, as historians suspect, the Kurī was described as a stubborn dog with a poor sense of smell, though it was a beloved companion of the Maori women. Bred in Great Britain as a pet and show dog version of the Skye Terrier, the Paisley Terrier had a soft, silver coat, thus earning it its nickname of “Silky.” Paisleys were in fact progenitor of today’s Yorkshire Terrier. Also known as the German Bulldog, the Bullenbeisser was strong, agile and became the progenitor of the Boxer. With short coats, large muscles and wide, strong jaws, this breed was using in bull-baiting. Please SHARE these incredible, extinct dog breeds with everyone you know!